With a house of four boys, it was inevitable that we would have major superhero fans living here. You would not believe the amount of superhero collections we have….or maybe you would. If you have a boy, chances are very good that you know exactly what I am talking about. My boys, in particular, are the biggest fans of Spider-Man, Iron Man, Captain America and Batman. We’ve seen all the movies, read all the comics, have the t-shirts and all. Walking past the Hallmark store at the mall during back to school shopping, we encountered a flyer that showed the newest Itty Bitty’s to be coming to Hallmark and my boys flipped. Why? They were all Marvel superheroes! Not familiar with Itty Bittys? They are miniature stuffed characters that you can collect. Supersized personality in a micro package! They have had characters from the Wizard of Oz, DC Comics, Mickey and friends and now Marvel! Kids love the way they look, love to play with them, and love creating their own collection of them. They are super affordable and they can be a fun incentive for them. They arrived to stores everywhere in September and my kids were thrilled to receive a set to check out. 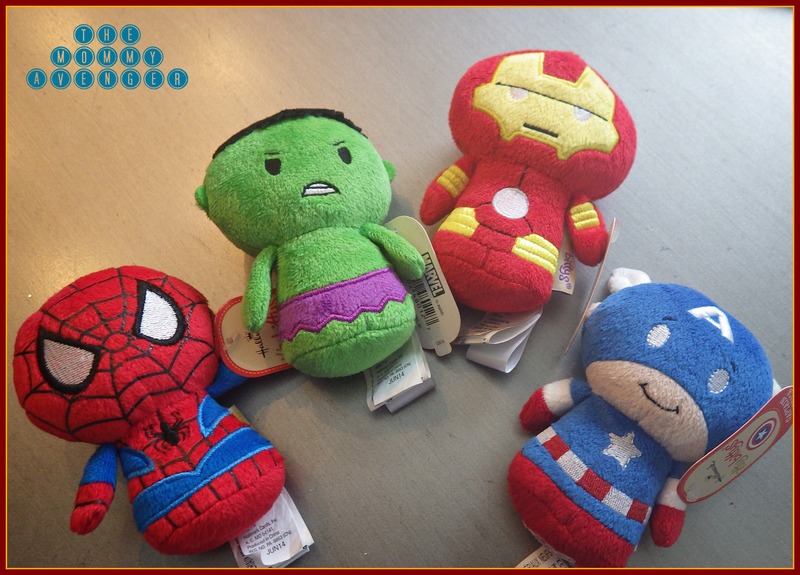 Iron Man, Spider-Man, Captain America and The Incredible Hulk–my kids were in heaven! They are so soft and cuddly and the perfect size to play with, take with you, or collect on a shelf. Thinking ahead, these would be great for stocking stuffers for the upcoming holiday season that is quickly approaching us! You can learn more about these adorable Itty Bittys by visiting your local Hallmark store or by visiting Hallmark’s website. *product was received to facilitate a review, all opinions are my own.